I used to think of Stephen King as an author of horror/supernatural books that scared the daylights out of readers. As a teen I remember reading Carrie, Pet Sematary and Cujo which all left such vivid imagines resulting in me not picking up any of his for literally decades. When 11/22/63 came out it sound safe enough to read and I loved it. Recently I thought to give an audio version a try, I did this with a little apprehension for the basic reason that audio book, when they have the right reader, breathes more emotion and life into the story. A little scary when thinking of King books. My first was Misery and loved it as well, check out my review. Mr. Mercedes and Delores Claiborne are totally different genres (and its a really talented author who can do that). Neither fall under horror, but both suspenseful and addictive reading/listening. Delores Claiborne is a shorter audio (approx. 9 hours), it's a long monologue. 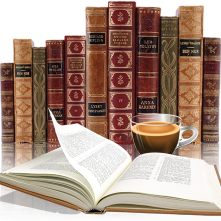 But what a story it is, totally addictive to the point I couldn't put it down. An authentic story that shows what happened in a home of domestic violence. 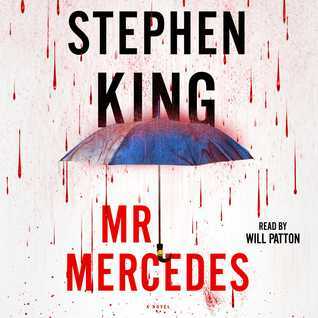 Mr. Mercedes was equally addictive, but a little longer (approx 14 hours). Told from two different points of view, it digs into the mind of the good and the bad. A brilliant start to a trilogy it introduces some very likable characters. "Everything I did, I did for love..."
For thirty years, folks on Little Tall Island have been waiting to find out just what happened on the eerie dark day Dolores Claiborne's husband died --- the day of the total eclipse. Now, the police want to know what happened yesterday when her rich, bedridden employer died suddenly in her care. With no choice but to talk, Dolores gives her compelling confession ... of the strange and terrible links forged by hidden intimacies ... of the fierceness of a mother's love and its dreadful consequences ... of the silent rage that can turn a woman's heart to hate. 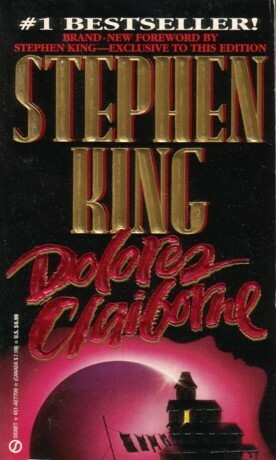 When Dolores Claiborne is accused of murder, it's only the beginning of the bad news. For what comes after that is something only Stephen King could imagine ... as he rips open the darkest secrets and the most damning sins of men and women in an ingrown. Maine town and takes you on a trip below its straitlaced surface.